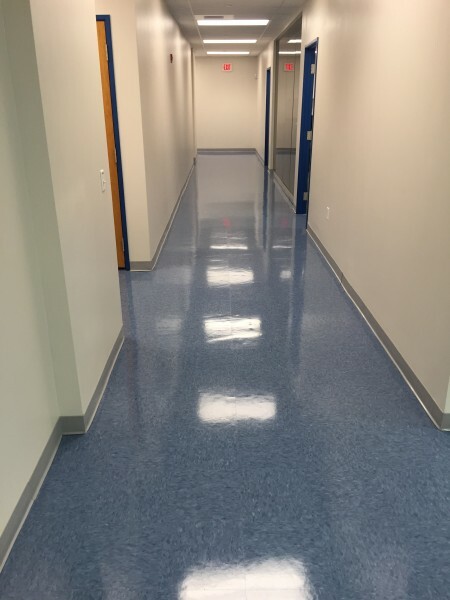 At Bestway, the #1 commercial floor waxing company in Monmouth County NJ, we believe in complete floor stripping, waxing and buffing for all types of hard surface floors in the Monmouth county area. Although hard surface floors can be extremely durable, they require maintenance to preserve their resilience and luster. With Bestway’s customized commercial floor maintenance program, we can protect your company’s floor, and keep it looking like new. We understand that high traffic areas are prone to dirt and grit. This dirt and grit can cause scratches and nicks and damage your floors permanently giving your beautiful floor a less-than-professional look. Your Monmouth County floor waxing company can remove your floor’s older sealer and finish, reseal it with a high-quality all in one sealer and finish and buff the surface to a deep shine. This sealer and glossy finish will extend the wear and tear of your floor, reduce scuff marks and scratches and guard against soil penetration and abrasion. Our superior commercial floor waxing & cleaning methods, floor care techniques, and commercial grade floor waxes will exceed your high standards of cleanliness and floor appearance. If your interested in getting an estimate or assessment just give us a call at (732)-671-8829 or fill out the form to the right today! Hear What Our Customers Have to Say About Best Way!